Winner – one that wins: one that is successful especially through praiseworthy ability and hard work b : a victor especially in games and contests. That is the Merriam Webster Dictionary definition. Whatever you want to say about the man above, he was a winner, plain and simple, the likes of which we will never, EVER see in the college game again. Four seasons, four Final Fours, two Championships. Leading scorer in NCAA Tournament history. Played in 23 of possible 24 NCAA Tourney games in his career. And he is the most HATED man to EVER play in college. Ever. ESPN even made a 30 for 30 about it. You saw it – and probably agreed with it. But why? Because he, and by default Duke, won. They were on TV every Saturday and Wednesday, and they won. Christian Laettner is the reason I am a Duke die-hard. I met Coach K at the 1986 Final Four but was young and awestruck. Grant Hill is my favorite all-time player at any level. Christian Laettner put the school on the forefront of competition every year. When he shot he ball, I knew it was going in. When he guarded an opposing player, they were not going to score. When he went to the line, you could count it. When he got nasty, there was only Laimbeer who was nastier. Simply put – I LOVED the guy. No, I wasn’t 6’11” – I was Bobby Hurley – but Laettner had attitude and that came through the TV into my conscious. Now, the Dream Team. Yeah, he was picked over Shaq, and rightly so. If you think about the international game now, we realize you need spacing, shooting, and passing. Which of those is Shaq good at? At the time, the public had no idea about the other side of the ocean’s game, but coaches Daly and K did. Laettner also knew he was the 12th wheel, and deferred to the veteran pros like he should, putting his massive ego in the backseat. He played sparingly, but guess what? He still got that Gold. Next up – third pick in the 1992 NBA Draft. Shaq and ‘Zo got him, and had better careers, but Laettner was nothing to laugh at in his Timberwolves and Hawks days – especially the Hawks. After Nique and before anyone else came, Laettner teamed with Mookie Blaylock and Steve Smith to get ATL in the Playoffs for a few seasons before he turned journeyman center and floated around, retiring in 2005 with over 11,000 points and 5000 rebounds. Not bad. 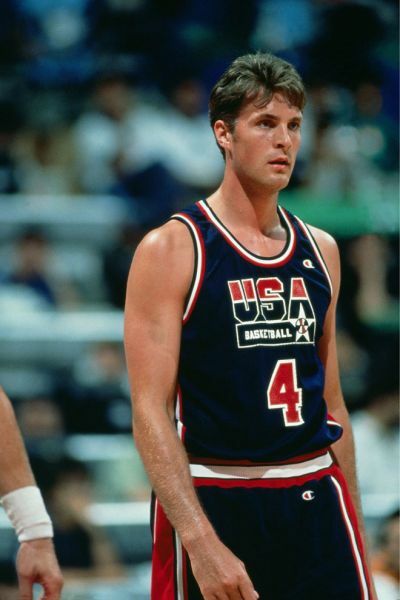 Before we go, I have to admit – I hate Laettner, but not like most of you do. I hate him for making me love Duke, even though I never went there, and have never been. I hate him for making it impossible to follow the crowd and root for (at the time) UNLV, Michigan, and Carolina. I hate him for all the grief I took for sticking by my guys after 1990. I hate him for only having four years in college. But hate him for winning? Never that – he was the definition.